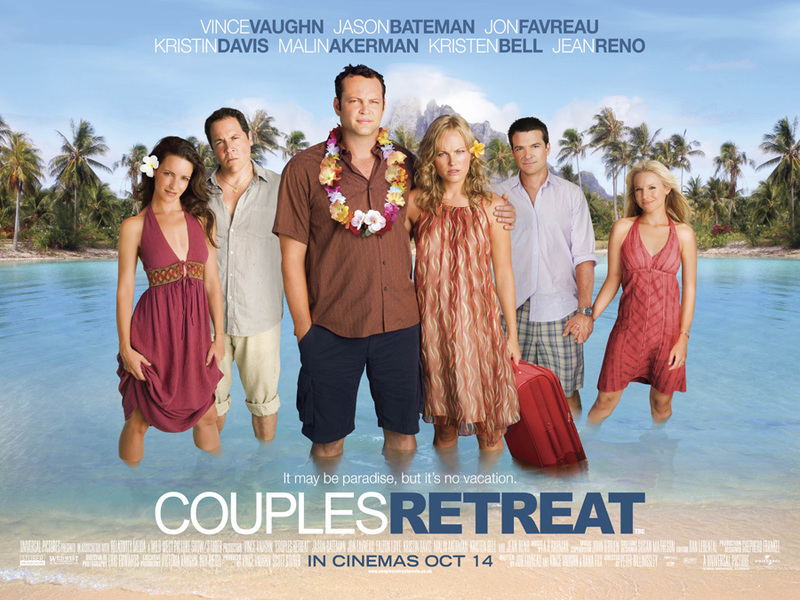 Have you watched Couple's Retreat yet? We went to watch it yesterday and it was such a great movie. We both enjoyed it so much. The story has a lesson for us to learn from. I will not say much, just in case some of you have not watched it yet, but we all can learn that we shouldn't take each other for granted, we should never ever forget how to feel, especially for our loved ones (to feel that connection, that bond), we do not forget to communicate and to show each other how we feel for one another. It is really important to not only tell how we feel, but to also show them how we feel. Communication is key in a relationship, there are also Commitment, Honesty, Patience, Sense of humour, Compromising and many others. It is important to have these values and to practise it in your relationship for it to work. Anyway, if you've not seen the movie, go and watch it. It is funny and there's something we all can learn from it. Not taking each other for granted is equally key, if not an active ingredient in a relationship. It's akin to rising flour that makes a cake 'grow in size'!